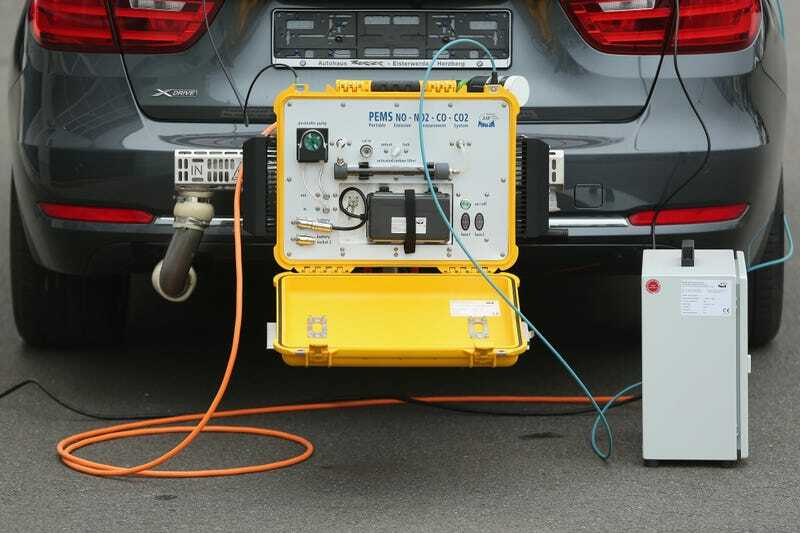 In an attempt to restore confidence in the industry following the Volkswagen Dieselgate scandal, German government officials reportedly want to introduce a system of randomized, unannounced emissions tests for all manufacturers. The current standard of emissions testing in Europe requires automakers to pick who conducts their tests and where they are done, according to The New York Times. In the U.S., automakers mainly do their own tests and send results in to the government. But that could soon change in one part of Europe, as German newspaper Bild reports that a draft of a new proposal concerning testing will appear before the Bundestag lower house of parliament on Thursday. Bild quoted the country’s Transport Minister, Alexander Dobrindt, as saying that under the procedures of this proposal, there would be controls on vehicles in the style of doping tests in athletics—“unannounced and every year.” In addition to its ideas on future emissions testing, the proposal will reportedly include a call upon the government to encourage citizens to purchase electric cars. Since the Dieselgate scandal reportedly occurred by the hands of a small group of employees, rotation is also a tactic that Volkswagen, Audi and Porsche plan to use within the company to keep engineers honest. The tactic proposed above also somewhat mirrors the emissions testing done in the U.S., which hinges mainly on manufacturers conducting their own tests. The Environmental Protection Agency does random checks on top of that system like the ones the German government wants to implement, and the EPA ultimately sniffed out VW’s emissions cheats last year. While governmental bodies such as Germany’s make proposals for overhauling their procedures to prevent this sort of situation from occurring again, U.S. regulators continue to shoot down proposed fixes from VW for the dirty diesels. For now, the ongoing saga of Dieselgate all remains kind of messy. Hopefully, the future of emissions testing won’t be.